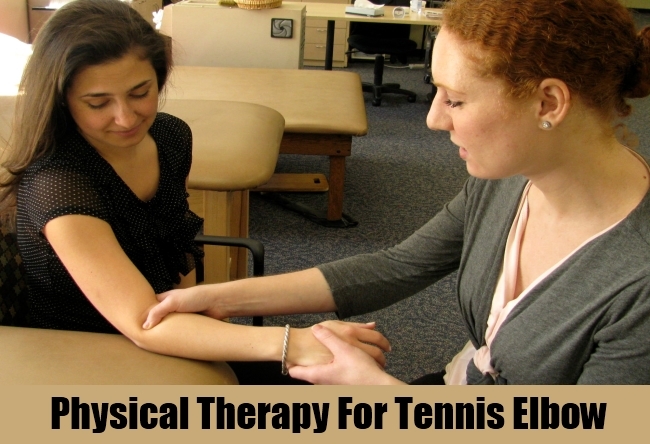 [toc]Tennis elbow or lateral epicondylitis is a condition of inflammation of the lateral side of the elbow. It could occur because of a sudden trauma or fall on the affected area. The inflamed tendon could result in severe pain, swelling and redness so it is advised that you approach treatment as early possible. 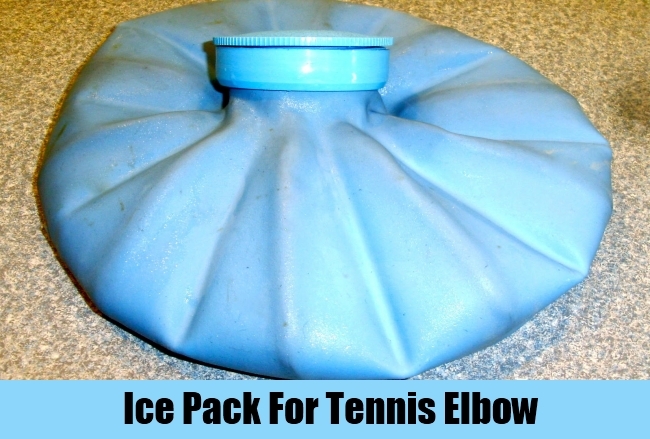 Apply a cold pack about two times in a day for about 15 minutes each time. Cold is the best way to stop inflammation. The impact of the ice is to enhance blood flow so that more nutrients flow to your affected region and hence it promotes healing. Cold will also help ease the pain up to a certain extent because it acts on the pain gate mechanism of the body. 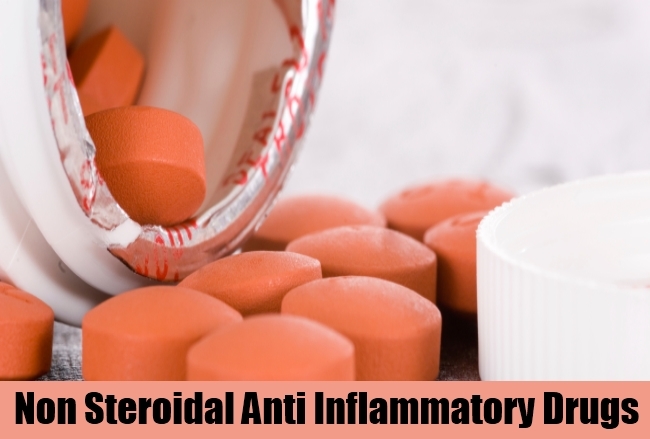 NSAIDs will help to fight the pain and inflammation of the tendon. Avoid using a lot of pain killers to fight the pain, instead try and stick to natural methods like a cold or heat pad in order to get the swelling down. Do not advise pain killers to people who are below the age of 20 because excess consumption may lead to other issues. Initially when the pain and swelling are at their peak, patients are asked to take rest as much as possible. During the initial days, physical rest is very important. However after a few days, physical therapy like stretching the muscles around the elbow and strengthening the muscles is started. This is important to restore the lost texture of the underlying structures. 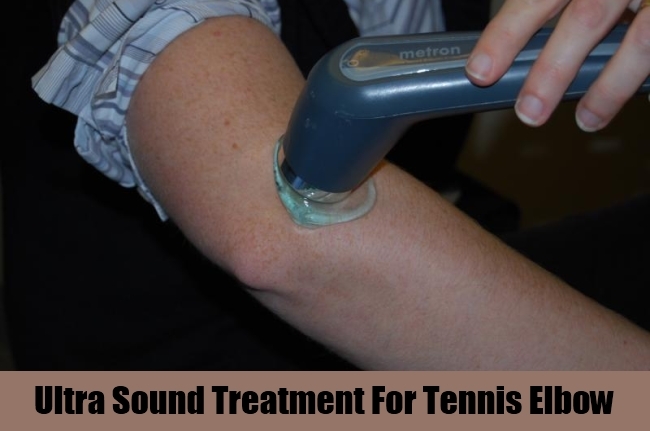 Ultra sound machine emits waves of high frequency which are therapeutic in nature. These waves penetrate deep inside the tissue to facilitate healing and reduction in pain. This must not be confused with the ultra sound scanning or sonography that is used for diagnosing abdomen related conditions or during pregnancy. As mentioned earlier, during the initial days after the injury, you must be careful not to move. At this time even the slightest movement may prove to be damaging to the part. This is the time when wearing splints is advised. 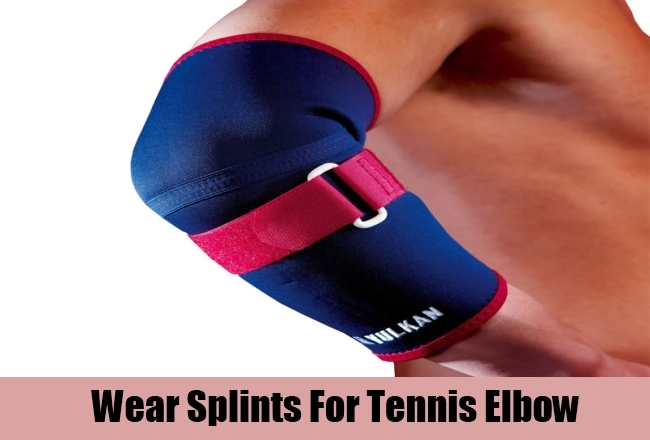 Wearing splints or braces for your arm or elbow will help in stabilizing the affected area. 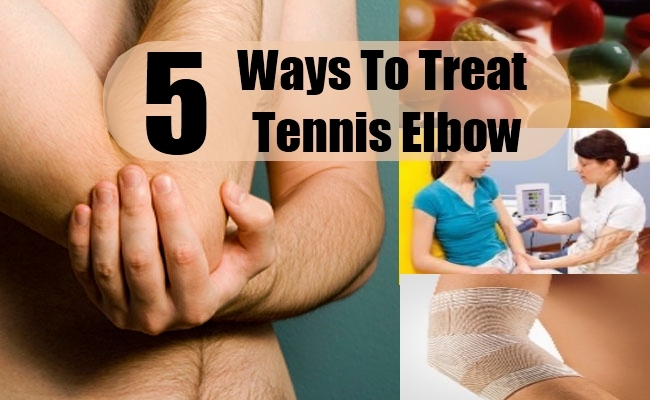 Tennis elbow is a very treatable condition and in 99% of the cases surgery isn’t needed. The wise thing to follow is to visit a medical practitioner as soon as you hurt your elbow or you feel some symptoms are beginning to show. The more you avoid the condition, the more severe it is going to get. With the consumption of pain killer, you will be able to fight pain but it is only a temporary measure.